Constant Girel was the son of a pharmacist and studied the subject at Lyon, at which time his brother-in-law was employed at the Lumière factory. He was taken on as a Lumière operator some time in 1896, filming for them in Germany in September of that year, when he made contact with Ludwig Stollwerck and filmed Tsar Nikolas II's inspection of the German army at Breslau. It was the Stollwerk connection that no doubt led him to Switzerland, where he worked for another Lumière representative, Henri Lavanchy-Clarke, before filming the Tsar again towards the end of the year at Cherbourg and Chalons. On 6 December he left for Japan, arriving at Kobe on 9 January 1897, where he met up with the Lumière representative for Japan, Inabata Katsutaro. The pair then inaugurated the cinema in Japan with a programme at Osaka's Nanchi Theatre on 15 February 1897. 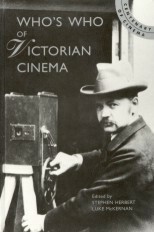 Girel's competence as a cameraman has been questioned, but he filmed a wide number of Japanese scenes, many of which ended up in the Lumière catalogue. 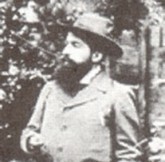 He returned to France after a year, being replaced by Gabriel Veyre, approached Pathé Frères but failed to find further work in film, and returned to pharmacy.